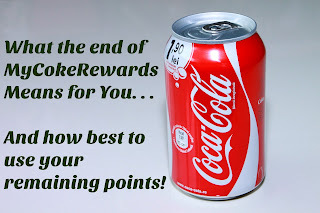 I've been a member of MyCokeRewards for over twelve years. I am very sorry to see this program go. Over the years I have redeemed points for everything from Coke coupons to snow globes and Christmas ornaments. So what does it mean to us, the consumer, now that it is ending? 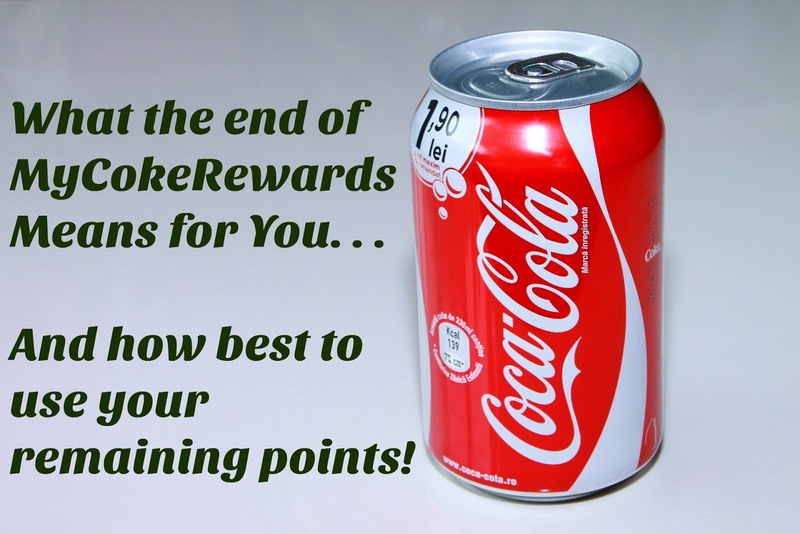 If you are like me, you have a bunch of Coke points in a kitchen drawer you haven't yet entered. Start doing that NOW. With a limit of 75 points you can earn each week, you want to be sure that you can enter as many codes as possible. Also, I would advise using your points as soon as possible. I need to wait until next week to enter enough codes to be able to redeem for a $10 Amazon certificate. This reward can only be redeemed once every 7 days (690 points) so if you have a lot of points in your account, you may want to start redeeming for this now. What are some other good rewards to use your points for? Well, any unused points will be donated to charity. So if you want to go that route, you don't need to do anything. But, personally, after submitting all those blasted codes, I want to use my points. As I mentioned above, the Amazon gift code is a good choice, as are other gift cards. The 12 pack coupon for 275 points is another great choice. 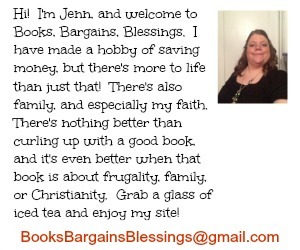 (Especially if you are a coupon queen and shop at CVS. Sometimes they will have a deal where if you buy x number of packs, you can get CVS Extra Care Bucks back. This deal works even if you are using totally free Coke coupons.) A personalized Coke bottle is 650 points. What I don't recommend is the Shutterfly offers. It's very easy to find Shutterfly codes, and very often the price of shipping negates the savings unless it is something you were going to purchase anyway. How are you planning on using your remaining points?